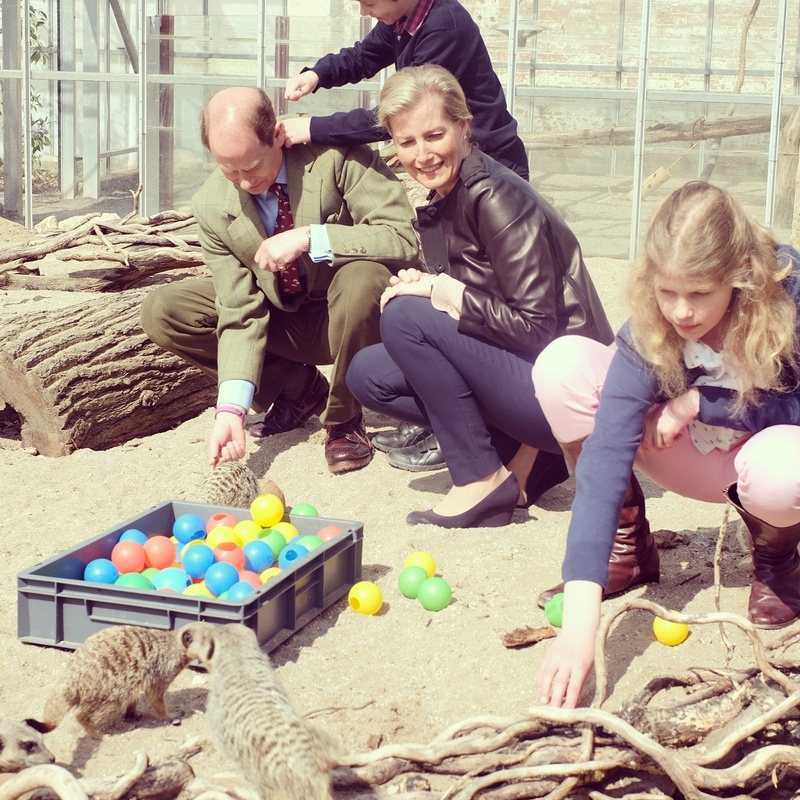 The Earl and Countess of Wessex, and their two children, Lady Louise and James, Viscount Severn enjoyed a family day out at The Wild Place Project (a sister attraction to Bristol Zoo). Under the watch of Cheetahs, Oscar, Brooke and Jake, The Earl officially opened The Mahali Pori Exhibit, home to the Cheetahs, guinea fowl, the ranger station and the predator 'preyground' adventure play, which will help raise awareness of conservation for the Cheetah, and educate visitors on the animals of the Africa Savannah. Wild Place Project is a conservation park which opened in July 2013. The Park has been designed to link specific ecosystems and conservation programmes across the world, and was originally intended to be split into biomes, representing species found only in specific habitats. Visitors to Wild Place Project can meet a range animals from across the world from the mischievous lemurs of Madagascar to the striking grey wolves of Europe. Wild Place Project was opened by the Bristol Zoological Society with an emphasis on protecting threatened habitats on their doorsteps and around the globe. The Earl of Wessex is Patron of Bristol Zoological Society - a conservation and education charity, which runs and operates Bristol Zoo Gardens and the Wild Place Project. The society aims to save wildlife through acts of conservation and is working to protect species and habitats overseas, encouraging sustainable behaviours and perceptions, as well as educate generations of families that pass through their attractions. Later in the day, Their Royal Highnesses stopped by Bristol Zoo, which is the fifth oldest zoo in the world. It was founded on 22nd July 1835, by Henry Riley, a local physician, who led the formation of the Bristol, Clifton and West of England Zoological Society. The Bristol, Clifton and West of England Zoological Society opened the Zoo’s doors to the public for the first time, on Monday 11th July 1836. The Countess of Wessex says hello to little Afia. Afia, who is being hand-reared round the clock by a small team of experienced gorilla keepers at the Zoo, has started teething and has giggled for the first time. Whilst there, The Earl and Countess, and their children, felt very lucky to have the opportunity to meet a new addition to the Zoo family - 9-week-old Afia (meaning ‘Friday born child’), a Western lowland gorilla, who was delivered by a rare caesaren section in February.